PMP certification Exam is a well-structured exam by PMI (Project Management Institute) for project managers. The exam is based on a guide provided by PMI. This guide is called PMBOK and current version is 5th edition but a new version is expected to be out in September 2017. 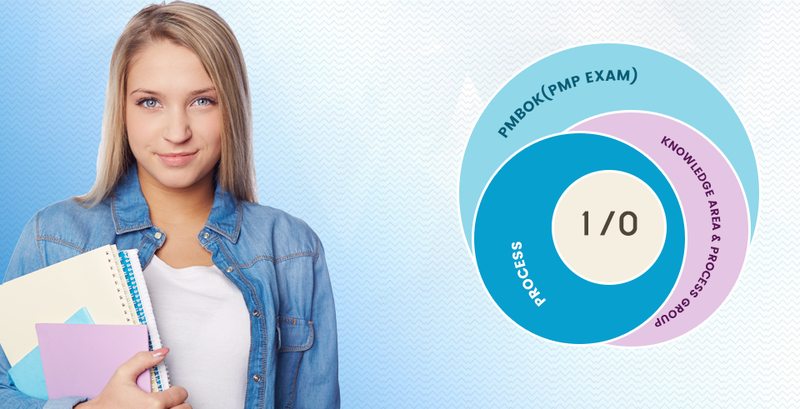 PMBOK has a unique way of explaining the project management practices in two parts -knowledge areas and process groups. PMBOK is divided in 47 processes but in next PMBOK 6th Edition it will be divided in 49 processes which in turn divided horizontally into 10 knowledge areas - Integration Management, Scope management, Time management, Quality Management, Communication Management, Human Resource Management, Cost Management, Procurement Management, Stakeholder Management, and Risk Management. There are some changes in PMPBOK 6th Edition where Time Management will become Schedule Management; And Humana Resource Management will become Resource Management. There are 5 Process Groups - Initiating Process Group, Planning Process Group, Executing Process Group, Monitoring And Controlling Process Group and Closing Processing Group. In PMBOK 6th Edition there is no update about process group, only number of processes will increase from 47 to 49. Each Process has its input, tool and techniques and outputs.The PMP exam is a 4-hour, 200 questions, multiple-choice, computer-based online exam that leads to the Project Management Professional credential. Questions are divided across all process groups as per below table. The PMP certification aspirants should have 35 hours of education by any Registered Education Provider (R.E.P of PMI), PMI Chapter or training institute to quality for the exam. Please stay tuned for the next part 2/2 of the blog with eligibility criteria of the exam, languages supported, Fees and exam types.